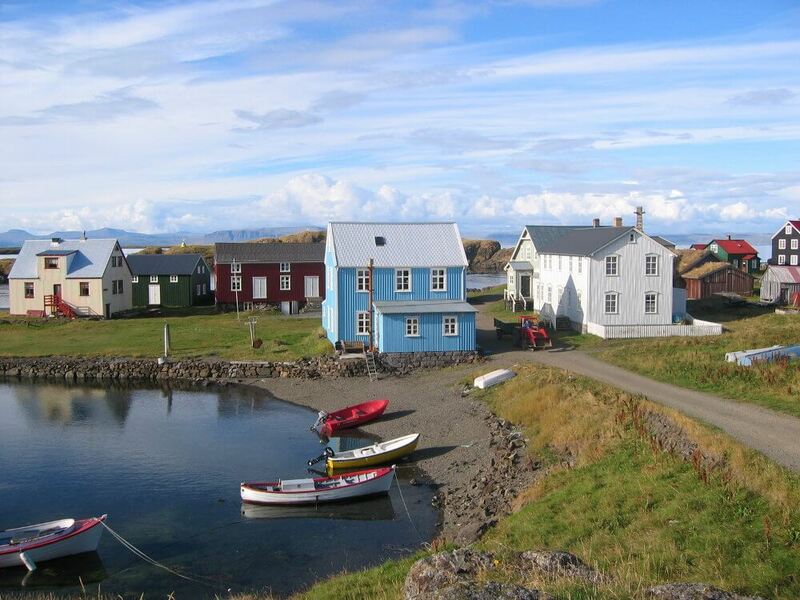 A day tour to the Flatey island – flat island, located in the middle of the bird paradise Breiðafjörður – the wide fjord. This little island has managed to maintain its 19th century ambience, there are no automobiles and most of the houses are 19th century timberhouses many of the covered in the ubiquitous corrugated iron. We shall walk around the island, visit the library, which is one of the oldest (and smallest) in the country, the church with frescos by the catalonian painter Baltazar Samper and enjoy a delicious lunch in the lovely little hotel. En route we shall also visit the town of Stykkishólmur, with more timber houses and taste of the incredible putrid shark, enjoyed by the Icelanders. Duration up to 11 – 12 hrs. Incl. Ferry transport to and from the Island.